US Cellular confirmed to Consumer Press today that their new prepaid plans require smartphone buyers to opt for their top tier, $65 per month, plan. This was done for a reason, according to US Cellular. “Based on our customers’ usage of data, we have found that feature phone users typically use less than 1GB of data and that smartphone users typically use more than 1GB, so we have tried to design plans to match our customers’ needs,” wrote the company an in email to NSF. Overall, the cost of US Cellular’s prepaid plans dropped. The top tier plan was $70 and is now $65. The mid-level plan was $60 and is now $50. The lower level plan is now $35. The top tier plan includes unlimited voice, messaging, and 2 GB of data, the mid-tier unlimited voice, data, messaging, and 1 GB of data, and the low level tier up to 400 minutes of talk, 400 text messages, and 400 picture messages. US Cellular also confirmed that existing users will not be required to switch to one of the new plans to continue their service. At this time there are no plans to require a switch in the future. Users that are currently using a lower tier plan with a smartphone can continue with using current plan. When asked, the company said that it’s too early to say how customers are responding to the new plans, but they expect it will be positive. 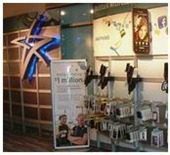 “We put a great deal of consideration into creating these plans and providing a wide selection of prepaid devices, which we hope will resonate with our customers,” they wrote.